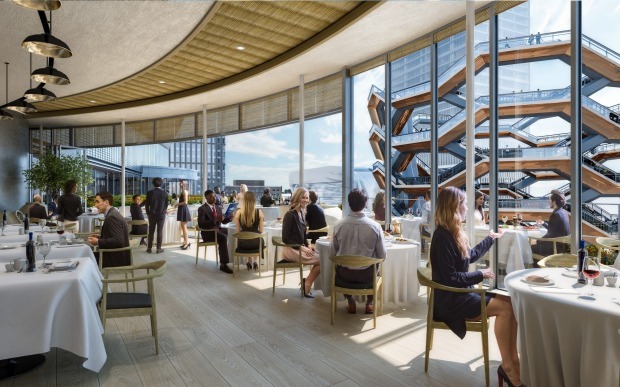 Inside The Shops and Restaurants at Hudson Yards. 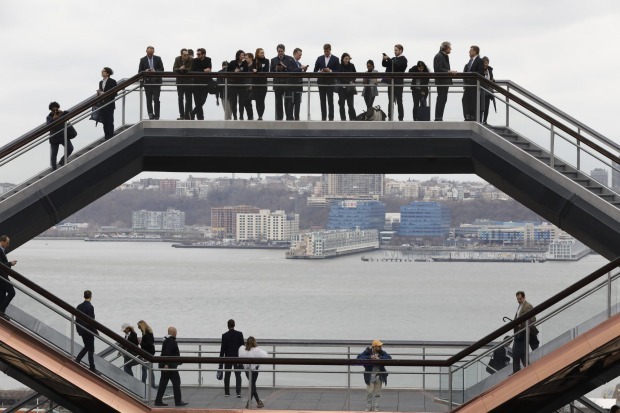 A restaurant overlooks the Vessel. 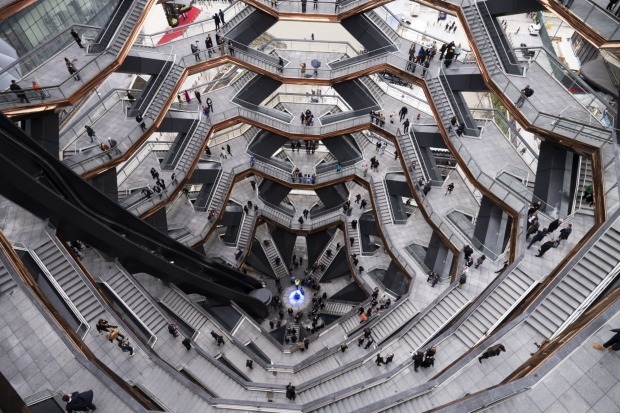 Inside the Vessel at Hudson Yards. 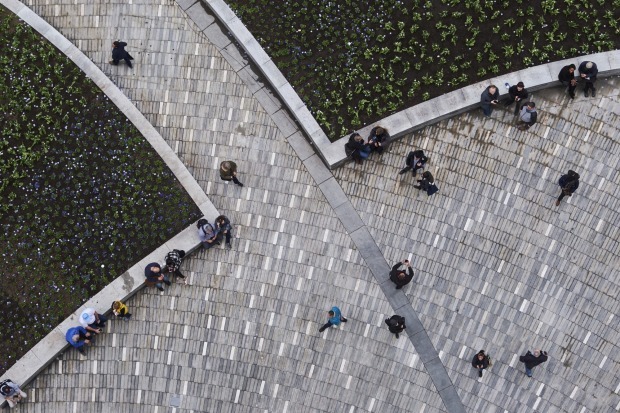 The gardens at Hudson Yards. 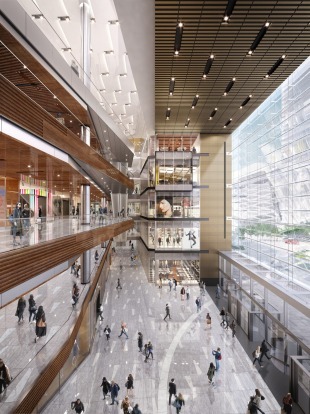 Inside The Shops at Hudson Yards. 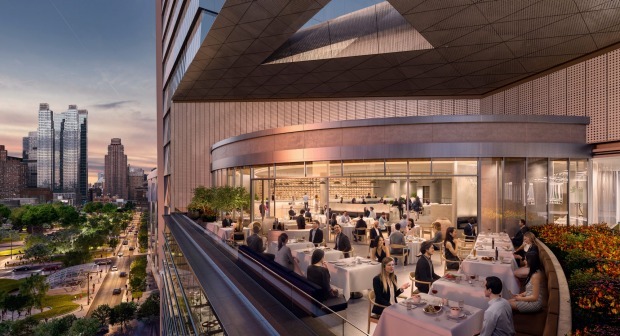 A restaurant at Hudson Yards. 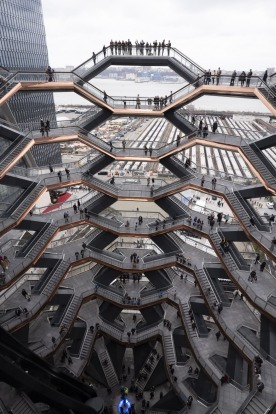 Hudson Yards on New York's West Side. 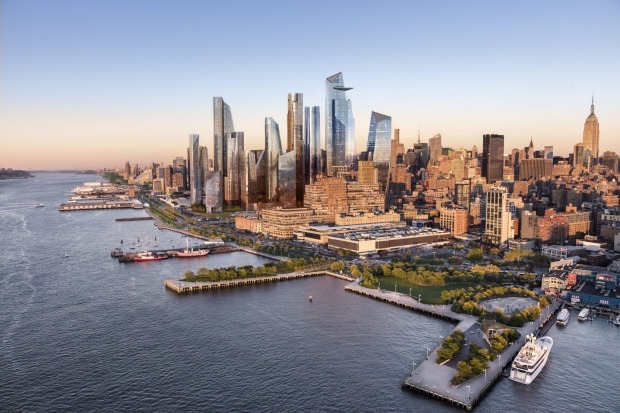 New York's $US25 billion ($A35 billion) Hudson Yards development is open to the public, offering both basic daily life amenities and luxuries that have earned it the nickname "Manhattan's mini-city". 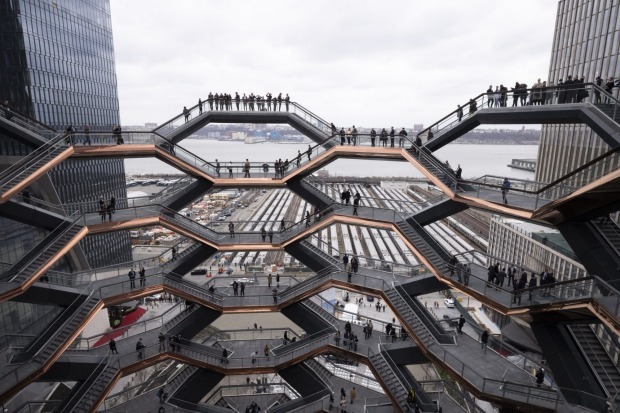 People lined up to climb the 2500 steps to the top of a massive, honeycomb-shaped sculpture called Vessel - the visual centrepiece of a complex of high-rises on Manhattan's West Side with pricey commercial and residential space, plus about 100 shops and restaurants. 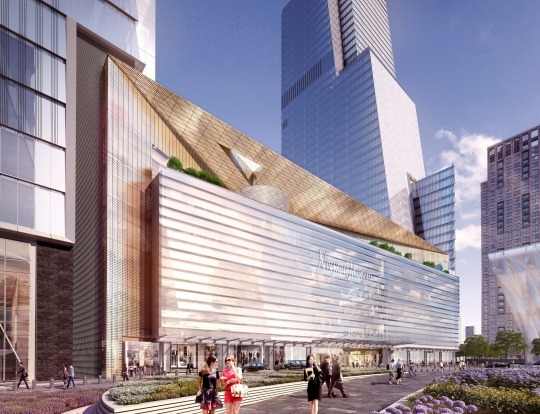 CNN will be a tenant at Hudson Yards along with its parent company, WarnerMedia. 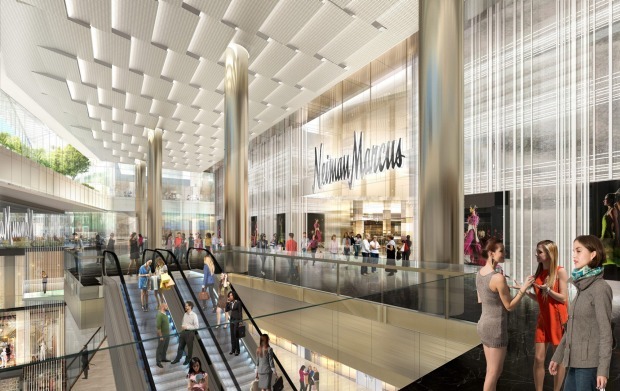 Other well-known corporate tenants include L'Oreal USA and Equinox. 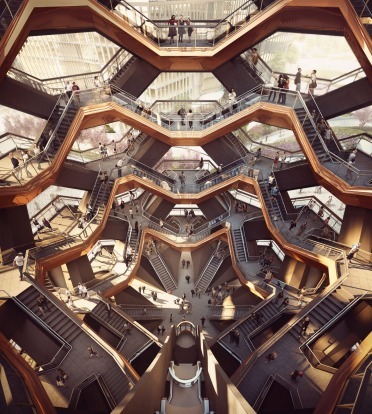 Hudson Yards bills itself "the cultural centre of Manhattan's New West Side", and on its first day, the culture came in the form of familiar brands at the five-floor retail mall - from Dior, Fendi and Neiman Marcus to Uniqlo, Banana Republic and H&M. 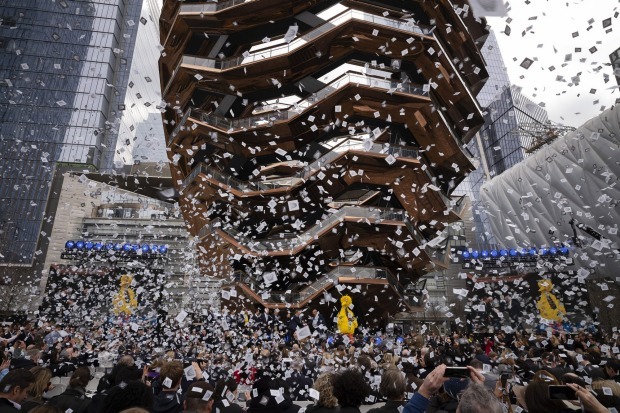 New employees being trained inside the shops got last-minute tips before customers arrived at noon. 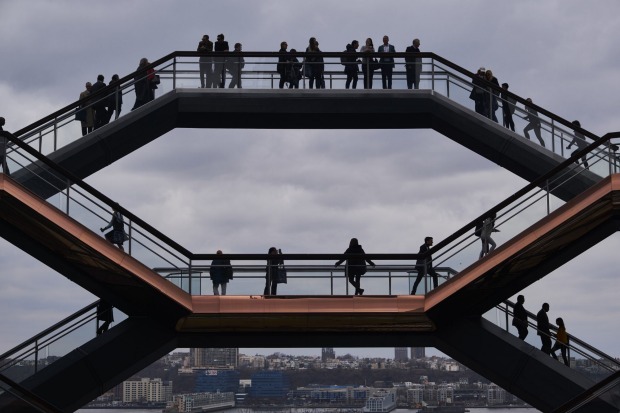 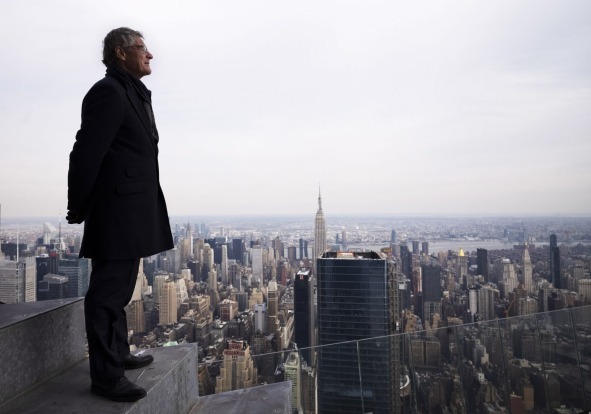 Only half of the 28-acre (11.3 hectare) community by the Hudson River is completed, including the highest observation deck in the Western Hemisphere atop a 100-story building, and The Shed, an art centre with a telescoping outer shell.